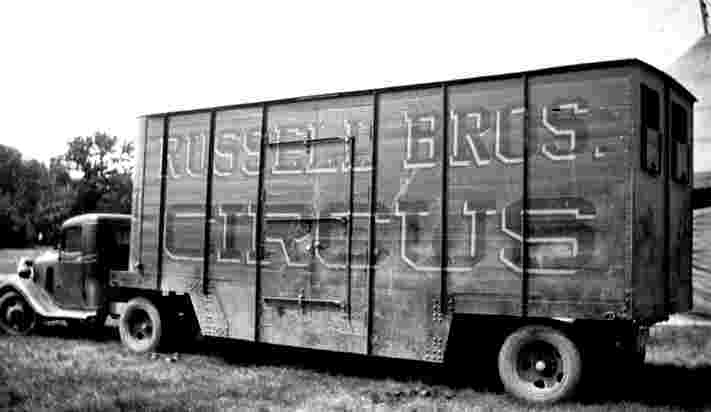 The Russell Brothers Circus was founded in 1928 by husband and wife team Claude E. Webb and Pauline (Russell) Webb. In the early 1920s Cluade Webb had operated pit shows featuring large snakes and other exotic animals. 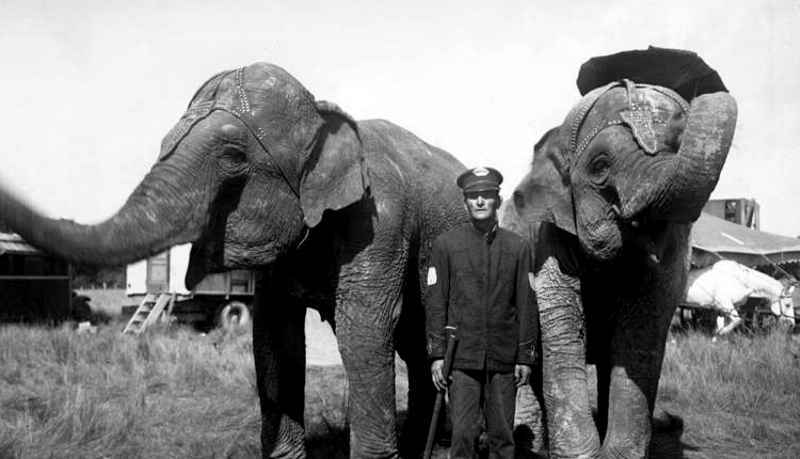 1n 1927 Webb expanded his animal exhibit and opened "C. W. Webb's Wild Animal Show". The show played fairs and carnivals in the Iowa area. 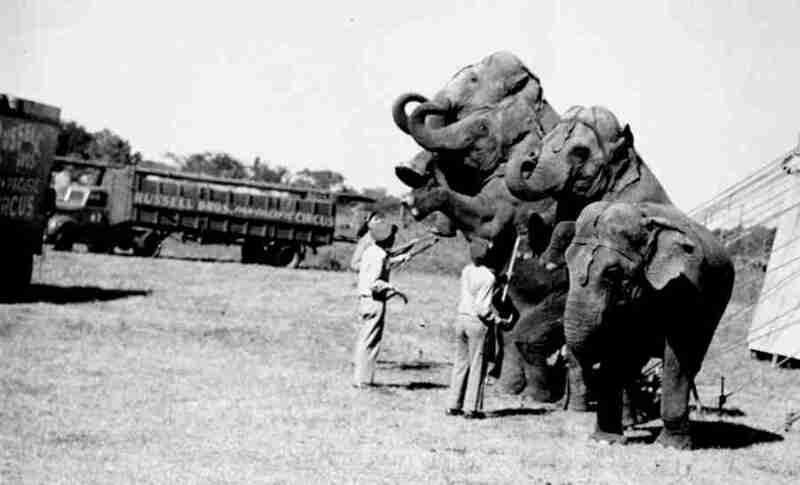 Webb purchased an elephant and opened "Webb Brothers 2 Ring Circus" in 1928. 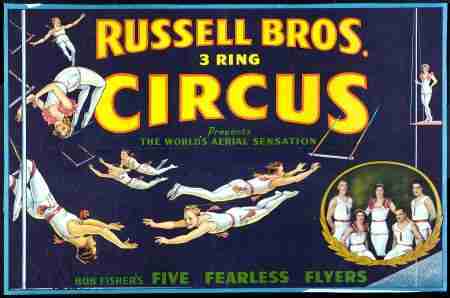 The following year 1929, Webb expanded the show to three rings and changed the name to Russell Bros, (Pauline's maiden name was Russell). 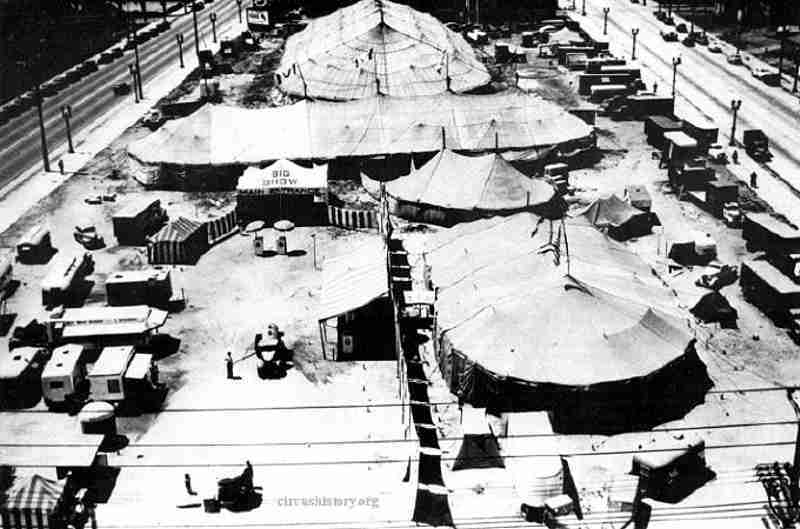 The Webbs carefully watched over the circus operation, seeing that the show was clean, brightly painted an that all money and expenses was accounted for. This led to the circus becoming very profitable and developed a good reputation in the cities they played. 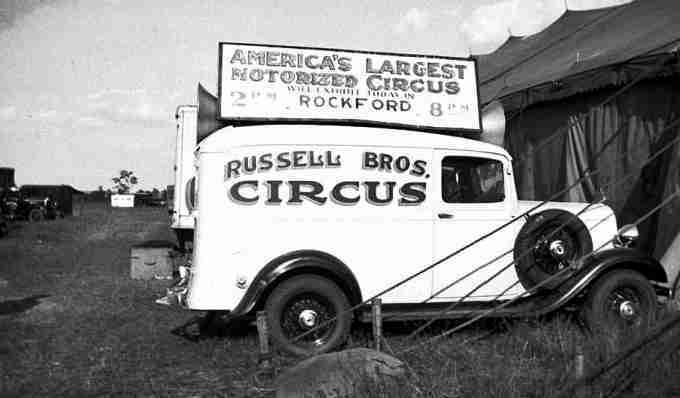 The 1937 the circus had grown to a 40 truck show, the big top canvas was a 120" round with 3 50 foot middles, the menagerie 70' with 3 30s and the sideshow tent was a 60 withe 3 30s. 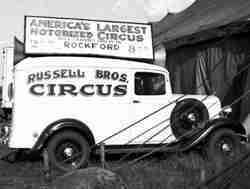 The seasons of 1938 and 1939 was not a good one for circuses and the Russel Bros. was no exception. For the next few years the show slowly regained it's grandeur. In 1943 the show played the west coast and was doing very well, in that same year the Webbs let it be known that the show was for sale. After several meetings with perspective buyers, the show was sold mid-season to former aerialist and showmen Art Concello. 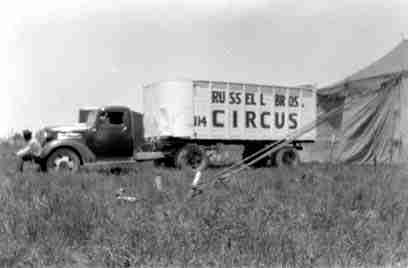 In 1944 Concello opened his new circus under title of "Clyde Beatty-Russell Bros. Circus"